follow, which surprisingly they did. After a few days in Kathmandu and in all its dust, traffic congestion but friendly people we departed for Mount Everest Base Camp flying to Tibet. We traveled by bus in stages acclimatizing as we traveled staying at various towns not to rush our body physics. As we entered the Chomolungma National Park and having driven for 3 hours we cornered to take our first look at Mount Everest. Silence fell. Oh, My, God, is slowly whispered. Our first real sight of Mount Everest. It was towering. It was immense. It was full of wonder and intrigue. It was magnificent. The stage and challenge was set. After a few days we were ready for acclimatisation rotations climbing from Base camp (BC) 5200 m through Intermediate Base Camp (IBC) at 5,800 m onto Advanced Base Camp (ABC) at 6400 m to North Col at 7,000m and edged to 7,300 m with no oxygen to complete the process. Acclimatisation takes time and patience as we climbed high and slept low. Altitude cannot be rushed. tiny pinnacle overlooking, well, everything !! But the job was only half done. I now had to negotiate my return to ABC. 80% of accidents and deaths happen on decent. The stark reminders (bodies) are prominent on decent. They kept me focused, alert and concentrating. Getting home alive to my family was priority. I reached ABC at 1500 hrs to much applaud, high fives, hugs and warm drinks. I was delighted. I was proud. I was emotional. I had done it. I am a Mount Everest summiteer. The months and weeks of training and preparation had paid off. I had set a training schedule. I had a dream. I believed. And on 24th May at 6:30hrs Nepal time I achieved. I summited Mount Everest. The physical strength required is a must but no more or less than mental strength. Mount Everest for me on reflection is 10% Mother Nature luck, 20% physical strength and 70% mental strength. I was in peak fitness but more I importantly I was mentally prepared for any situation having researched, having read and having spoken to many now fellow summiteers and my personal mental coach. I was ready. I was in the right place. I had put myself in the right place. I always felt I could succeed. I never ever thought at any stage that I would not summit. I was determined. I had once chance and I was doing everything I could to take that chance. We all have chances. We all don’t take them. I encourage you to take the opportunities, to take the help offered, to seek advice, and believe that dreams, goals and ambitions can in fact be reached. I did. I am a mere mortal like everyone else. I dreamed, I believed, I achieved. I partnered with the mental health nationwide charity GROW which offers help and support for people affected and being affected by mental health issues. See www.grow.ie for more details. I’d like to thank my wife Michelle and family, for their unwavering support. 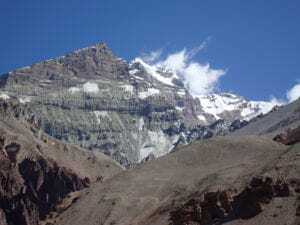 Watch our Everest Base Camp Trekking video or get in touch with us and find out more about trekking to the base of Mt. Everest and possibly climbing a Himalayan peak. HIRE Ian to speak at your event.